The Solar Impulse - a revolutionary solar-powered airplane that had completed its first cross-country journey in the US in July — will make New Delhi and Varanasi its landing and departing destinations in 2015 as part of its round-the-world mission. The Swiss-made airplane, which had completed its US mission without using a drop of fossil fuel on board, aims to demonstrate the capabilities of clean technology and renewable energy. The move comes at a time when governments across the world are looking for alternatives to fossil fuel to not only fight the climate change menace by drastically cutting greenhouse gas emissions but also to pull themselves out of the vicious trap of oil economy. 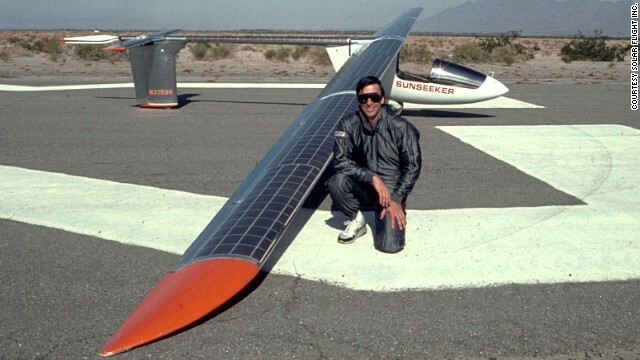 Gregory Blatt, head of communication of the project, told TOI that the Solar Impulse is a kind of tool to tell the world about power and potential of clean energy. Blatt said if an airplane could fly for such a long hour without using a drop of fossil fuel, then why can't a car run on solar power for 50 or more miles at one go? 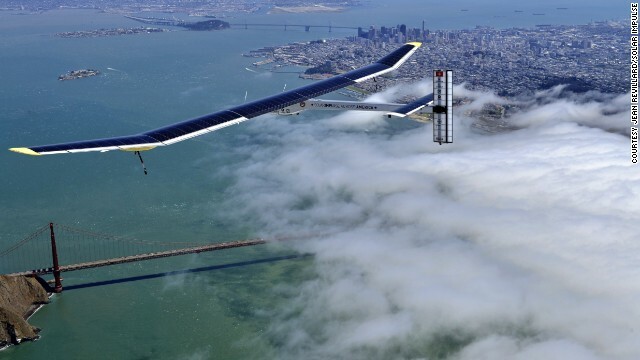 "Solar Impulse is not designed to carry passengers, but to convey a message. If we can do it in air, we can do it in our daily life using clean technology," he said, explaining how this scientific marvel serves as "an ambassador for renewable energy". The around-the-world mission flights will take place from beginning of March, 2014, to end of summer, 2015. Landing and departing destinations are being identified\finalized in Europe, West Asia and China, depending on technical and operational considerations. In India, New Delhi and Varanasi have, however, been finalized for the mission. Crossing the Pacific is expected to be the most difficult phase of the mission as pilot will have to fly five days non-stop during this leg of the trip. Bertrand Piccard and Andre Borschberg, co-founders and pilots of the Solar Impulse, will fly the airplane in different legs during around-the-world mission. Since each pilot will have to fly for four-five days during circumnavigation, both of them will have to be trained in such a way that they can endure the arduous journey.